On the hill Apityki (or Pityki) and at a height of 200 m. above sea level, almost in the center of the island of Leros, stands the medieval Castle of the Panagia, which took its name from the church of the Theotokos, which treasures the "Holy Palladium of Lerians" - the icon of the Panagia Odigitria, or Panagia of Kastro, which miraculously arrived on the island of Leros during the era of iconoclasm. 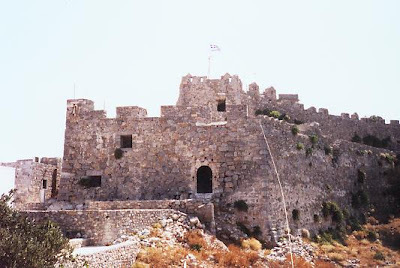 In a bull of Emperor Alexios Komnenos (1056 - 1118) the Castle was founded with the name Panteli Castle and built upon the foundations of an ancient Acropolis, and in its current form it was later altered by the Knights of Saint John (who occupied it from 1309 - 1522, followed by the Turks). 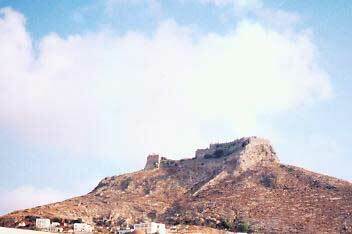 Emperor Alexios gave this Castle to Saint Christodoulos together with the Castle of Patmos. The church of the Panagia was built in the 11th century, and the golden iconostasis is from 1745 as well as the episcopal throne and the pulpit. 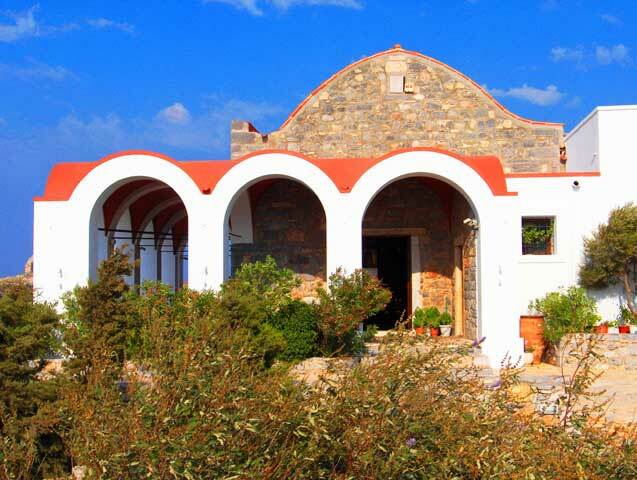 In the area of ​​the Castle there is still the Church of the Holy Trinity with fragments of frescoes from the 9th century, the Church of Saint Nicholas, and an early Christian church which was dedicated to the Unknown Christian Martyr. This latter church was discovered recently by a shepherd searching for his lost sheep. Also in the Castle is an ecclesiastical museum with many treasures. 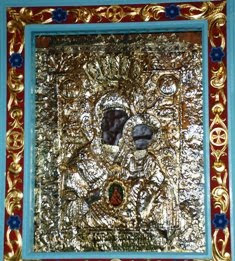 The miraculous icon of the Panagia, dressed in silver and bearing the date 728 AD, is believed by some to be the work of the Evangelist Luke. It arrived at the island in a miraculous manner on a small boat by itself with two lit lamps. 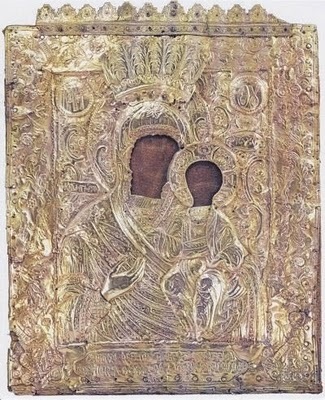 This was in the 9th century during the days of iconclasm. In the Castle the Lerian Monk Damascene operated a school from 1726, elevating the education of the island, and it ceased operation in the mid-19th century. The Castle of Panteli is the most important medieval monument of Leros, which, according to tradition, during the time of the iconoclasts in the 9th century the sacred icon of the Theotokos came in a miraculous manner. 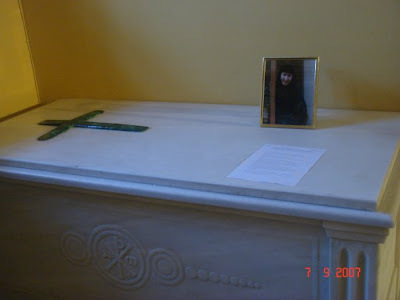 It was for this reason that the Castle bears the name of the Mother of God till this day and celebrates annually on the feast of her Dormition on August 15th and the Apodosis on August 23rd. 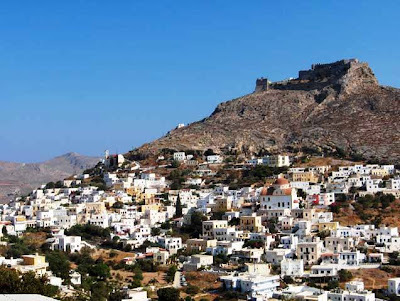 At one time this Castle was more famous than the shrine of the Panagia in Tinos, when Christians would come here from all over Greece and Asia Miinor for the feast. Among the traditions of the people for the August 15th feast is for mother's who have dedicated their children to the Panagia of Kastro to dress their children all in black on August 14th, they make prosphoro for the Divine Liturgy, they walk up to the Castle by way of 499 stairs, and after the Great Vespers Service they remove the black clothing and offer them to the Theotokos. The tomb of Eldress Gavrilia (1897 - 1992) is within the Castle also. It was a spring night passed midnight. The full moon was shining with its rays, the valley was sleeping carefree, having as its guardian the tall mountain with the white mills and the Venitian castle. 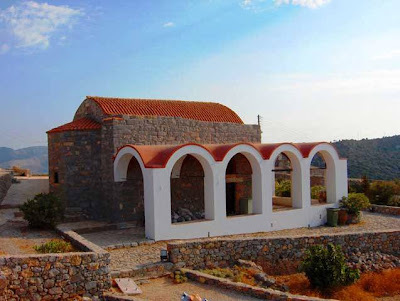 The Monastery of the Virgin Mary the Megalochari, the Lady of the island, was built in there, with icons full of gold and silver gifts that the islanders brought for her grace. Nothing could be heard in that dead silence except only the creepy voice of an owl or the screem of a shepherd dog from time to time. Suddenly a door from a hut was openned and a woman came out holding a big bag. She stood for a moment, throwing searching glances around, and making three times the sign of Cross. She put the bag on her shoulder and took the road which leads to the wind mills. As she was walking, she heard foot steps and in a little while she saw two shadows falling hastily downhill. She got scared and made her Cross. Before she had time to even to pull herself together, she saw in the light of the moon two men carring something on their shoulder, running and out of breath towards the valley. In the morning, before the sun had gilded the mountain tops with its rays, the church bell of the Castle almost broke from being rung so much. When the only nun of the Monastery went early in the morning inside the church to incence the icons, she found them barren from their rich gold and silver offerings. She started to ring the bell in a nervous manner and the whole island started to suspect that something had happened. Men, women and children gathered to the church to see what had happened. They would go inside the church, and when they saw the icons bare, they would go out to the church yard to find the others to talk about it and curse the thief. Sadness could be seen in everbody's faces. The priests who where also present during this calling, took the icon of the Virgin out to the yard and everybody kneeled down begging the Virgin to make her miracle. Suddenly, an unusual sound was heard. The people who where up to that time concentrated in the litany, turned to see what had happened and they saw Nicholas, the dumb shepherd whom they called "crazy", come running and making some incomprehensible noise. Two or three men went to meet him, he however with signs as always, showed them that they should follow him. Some men finally understood what was asked of them and allowed him to lead them. They followed him down the slope and at the turning-point of the road, the dumb man stood in front of a hidden cave and made them understand that they should go inside it. With hesitation, but also with couriosity, the men entered they cave, and what did they see? Two men were laid down on the ground, tied, and without being able to move themselves, and in between them there were two big bags with the treasures of the Megalochari. The Virgin Mary had made her miracle. As the dumb shepherd was walking about by the old wind mills in the light of moon as if he was some kind of fairy, he passed outside of the cave, and he saw the men and brought the news to the Monastery.